It’s a tradition in the PNW unlike any other. Talk to moms from the Midwest about where they pumpkin patch and they’re likely to raise an eyebrow. But out here on the Eastside? 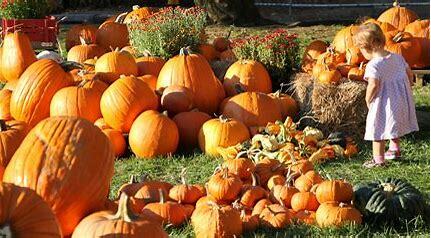 Choosing your pumpkin patch for the year is almost as big of a deal as choosing where you’ll vacation in the summer. With different patche s offering amazing amenities and activities, competing for your gourd dollars winds up meaning a full day of family fun. The one major bummer is that, with real estate being as costly as it is on the Eastside, you’re going to have to drive a bit to get to the best pumpkin patches. They’re all great, if I’m being honest, and you’ll enjoy any of them. That said, different patches appeal to different aged kids. Choosing the best one for your family makes the drive more worthwhile. Here is the lowdown on the pumpkin patch experience! This one is my pick for big kids. 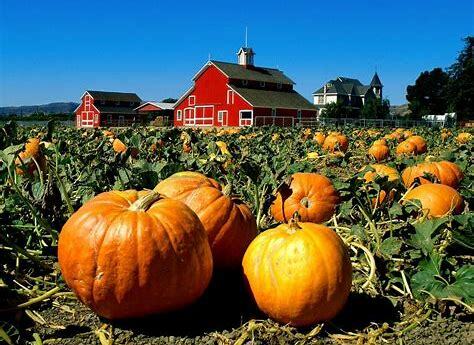 Once you arrive you’ll find acres upon acres of pumpkins as well as a ton of family-friendly attractions. Perhaps the best of all is the massive corn maze on site. The maze is a whopping 10 acres large and al ways Take a Hikecut into interesting, artistic designs that you can only see from above. I like this maze for the big kids because they specifically offer admission after dark, which is spooky and exciting all by itself! You can also reserve a fire pit to roast marshmallows after you make your epic escape. For the little kids, there are also two smaller corn mazes that are less intimidating. 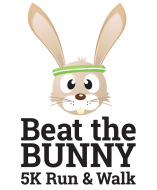 Other free activities include hayrides, a tike track for riding, and a playground area. In addition to your pumpkin, you can also pay to play on big slides, the corn crib (excellent for sensory kids) and fire apples out of the apple cannon. A rope maze, sandpit, and cow-train ride complete your full day experience. My favorite pick for those with little kids, this is a wonderland for the imagination. On top of the you-pick-pumpkins, you’ll also find admission free fun things to do that enchant the smallest of adventurers. There is a large corn maze that is themed and unintimidating for younger guests, as well as a kid’s adventure maze, miniature golf, and a mouseville themed gift shop. Kids can also pet farm animals. On the weekends you’ll find hayrides, apple slingshots, and face painting, too. Older kids may get a little bored at this one, but for little kids, the value cannot be beaten. If you’re noticing a nod to Snohomish, it’s not intentional! It just so happened that all of my favorite places are located just north of the Eastside. And, among all of them, The Farm at Swan’s Trail just may be my absolute favorite. It’s a literal adventure wonderland that is well suited for families with kids of all ages. A FIFTY-acre pumpkin patch pretty much guarantees selection wide enough to last the entire season, and you’ll also find a pretty nicely sized petting zoo. On top of that, expect to laugh your tail feather off at the duck races and Farmer Ben’s “Four Little Pig” shows. There are also wagon rides, picnic pavilions, a massive corn maze, and you pick apples. I’d be remiss if I didn’t mention the barn. It’s a tiny hay bale maze up to the hayloft where kiddos can zip down a slide into a pile of hay. It’s the stuff great photos are made of, friends. Things really get fun when you get into the paid activities, though. A giant hay bale pyramid for climbing, a ball pit, large slides, an inflatable jumping pillow, rubber duck races, gemstone mining, pedal cart racing, and a cow train all await you. Plan to spend all day at this one, and make family memories that evolve into a tradition your kids will take with them for years to come. 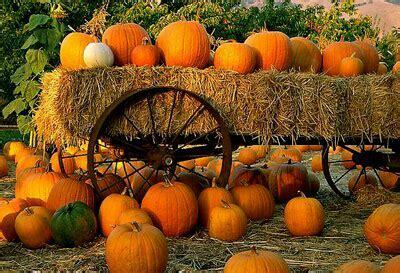 This list is just a short sample of all of the pumpkin farms out there. If nothing here tickles your fancy, here’s a longer list compiled by Red-Tri. If you’re not up for the drive to one of my favorite farms, maybe you can find one closer to your home neighborhood here and tell me all about why you loved it in the comments! Happy hunting! It’s here we can’t deny it — fall has settled in. The beautiful, sunny, and warm days are coming have come to an end. But don’t you go downing fall on me just yet! It’s actually my favorite time of year! That nice little nip in the air in the morning, the lazy evenings, and the smell of fresh textbooks. It’s a wonderful time! Here are three great ways to enjoy September around the Eastside! Living in Seattle, for most of us, means a love of Seahawk football. Attending games is more than a way to pass a d ay, it’s an experience. And, like most major experiences, it costs a pretty penny. So why not enjoy a some Friday Night Lights and watch a more affordable game of gridiron? 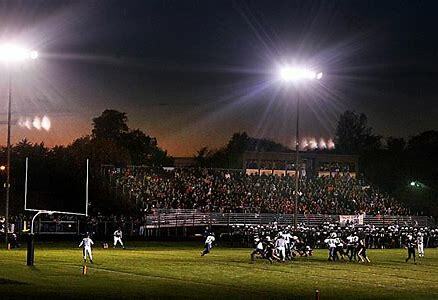 So many of our local High School teams are contenders on a statewide level that attending a high school game not only means you’re out enjoying the fall evening weather, it also means you’re seeing some legitimate talent. Plus there are affordable concessions, marching bands, and all kinds of school spirit! 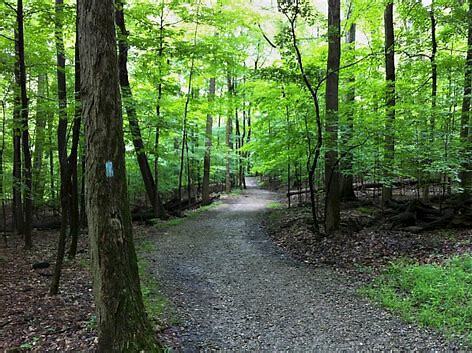 Head over to Bridle Trails State Park in Kirkland for a nice family h ike. The park itself isn’t huge, which makes it perfect for exploring on a weekday evening after school. Walk through the dense trees seeking out unique shadows cast through the branches and onto the dirt pathways. The enchantment of this urban park is turned up to eleven when a horse comes striding by you. Bridle Trails was designed as a horse walking park, which means that the unexpected rider can pass you by. I love this quiet oasis right in the middle of the densely populated Eastside! I also have to give an honorable mention to Juanita Bay Nature Preserve, where you can spot bald eagles fairly regularly. Have you ever tried to go stand-up-paddle boarding on Lake Washington? SUP for short, I actually prefer e arly fall for this activity to summer. The crowds are gone, the water is still warm, and the sunsets are something else entirely. Perfect Wave is my go-to spot. Located right at Houghton Beach in Kirkland, there is nothing more refreshing than an evening paddle, followed by happy hour at The Beach House, which is well worth a visit. Just remember, hours start to narrow as summer closes, so check ahead before showing up. What are your favorite fall activities!!? ?